effective leader and connected school to the real world. What is DECA? DECA is the national association for students and teachers of marketing, management, and entrepreneurship. It is a co-curricular student organization, as DECA activities are designed to reinforce the competencies taught in the Marketing Management and Sports and Entertainment Marketing Pathways. 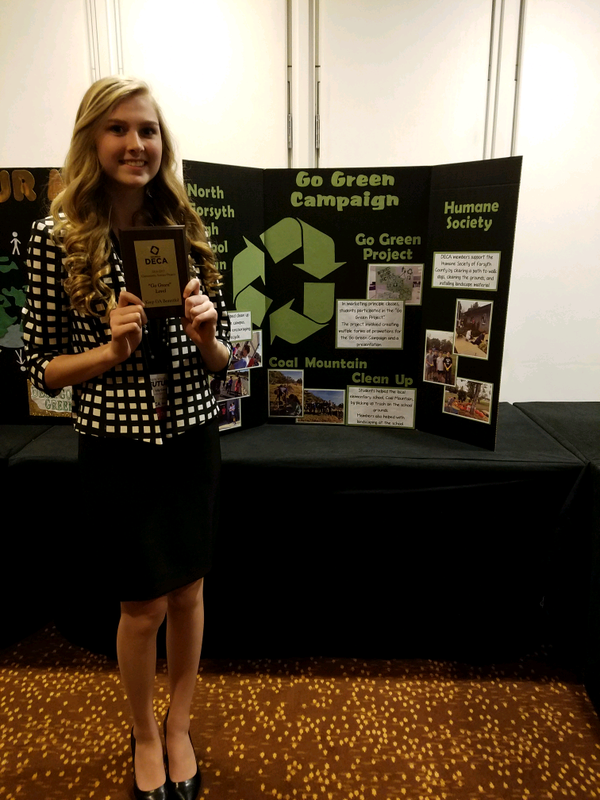 Through DECA, North Forsyth High School students learn what it takes to be successful in today's fast-paced world of marketing. DECA Mission. The mission of DECA is to prepare emerging leaders and entrepreneurs for careers in marketing, finance, hospitality and management in high schools and colleges around the globe. Scholarships. DECA's scholarship program provides over $250,000 in scholarships at the International Career Development Conference each year. More than 50 corporations provide scholarships through the DECA Scholarship Program. DECA administers the program based on guidelines set by the donor and scholarships are strictly merit based. DECA Members Gain 21st Century Skills. 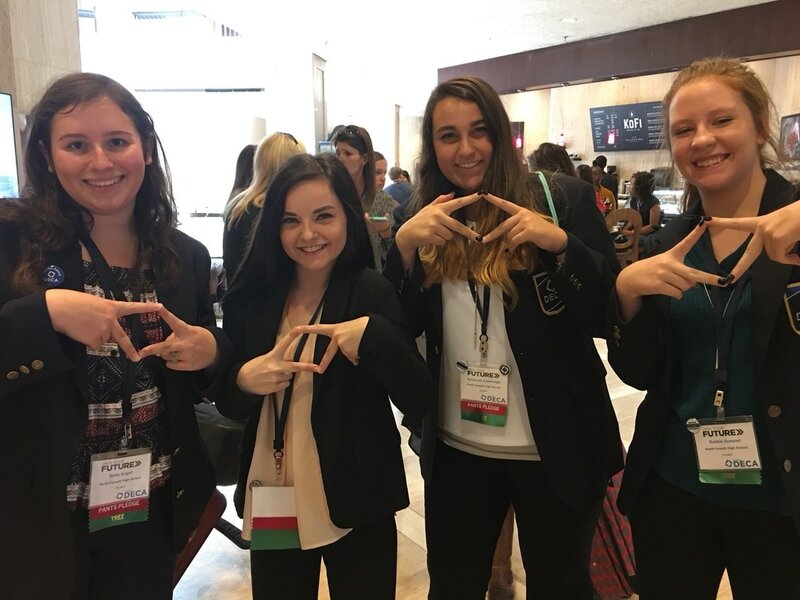 Through participation in DECA activities, 92% DECA members say they learned how to communicate thoughts and ideas, how to organize a presentation and more about what businesses expect from employees, while gaining problem solving skills. DECA Members are Prepared to Become Leaders. More than 90% of DECA members say their experience empowered them to be an effective leader and connected school to the real world. Nearly 80% of DECA members say DECA helped them recognize the benefit of community service. DECA Members are Motivated for the Future. DECA members say their experience prepared them academically for college and career (88%), influenced their college plans (68%), influenced their career plans (75%) and influenced their interest in entrepreneurship and owning a business (61%).